Polygamy • Records show how family financed Washakie Renewable Energy. Leah Hogsten | Tribune file photo A rail line outside the Washakie Renewable Energy facility in 2011. Leah Hogsten | The Salt Lake Tribune Washakie Renewable Energy held an open house in Plymouth on Thursday, September 1, 2011, to showcase its new production facility. Steve Griffin | The Salt Lake Tribune The Washakie Renewable Energy facility in Plymouth, Utah Friday, February 12, 2016. Steve Griffin | The Salt Lake Tribune The Washakie Renewable Energy facility in Plymouth, Utah Friday, February 12, 2016. Leah Hogsten | Tribune file photo Kingston brothers Isaiah (left) and Jacob co-own WRE or Washakie Renewable Energy, that produces 10 milion gallons of biofuel. The largest biodiesel producer in Utah, Washakie Renewable Energy, held an open house in Plymouth on Thursday, September 1, 2011 to showcase its new production facility. 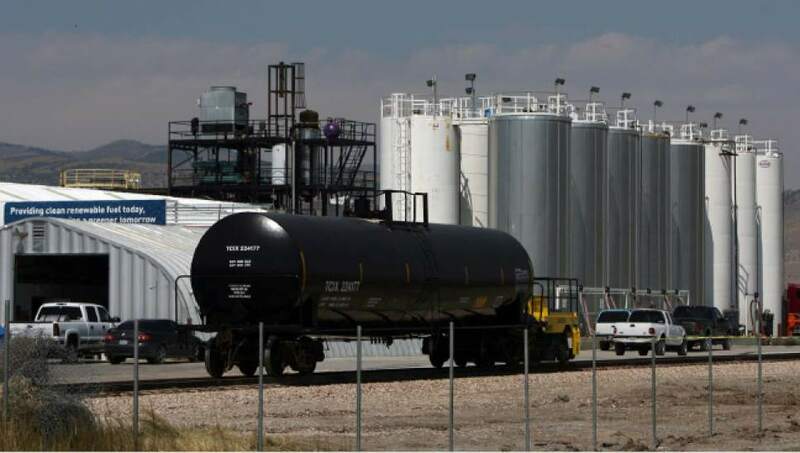 Leah Hogsten | The Salt Lake Tribune Biofuel is made from "feedstock" or renewable sources that are used in the production of biodiesel fuel that the company takes in from local producers. The largest biodiesel producer in Utah, Washakie Renewable Energy, held an open house in Plymouth on Thursday, September 1, 2011, to showcase its new production facility. 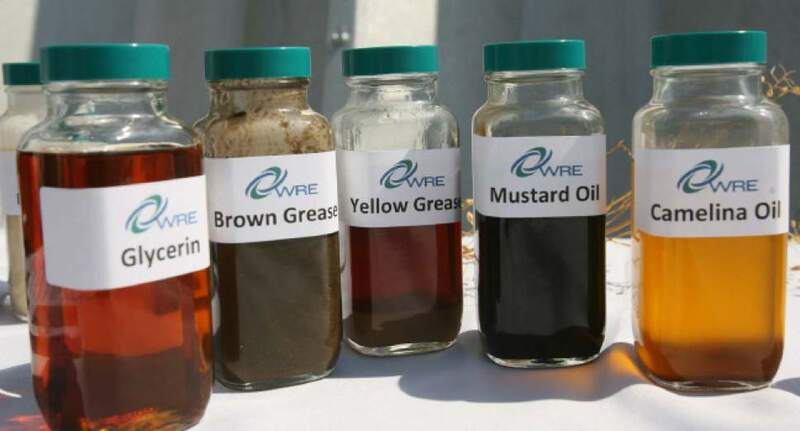 On Aug. 29, Washakie Renewable Energy, the biofuel manufacturer whose offices were raided by federal agents earlier this year, was sued by another company, called N.W.R. Limited Partnership. That company says Washakie is behind on its lease for the ground where its plant sits in Box Elder County and owes more than $1 million. Four days later, another company sued Washakie. This time the plaintiff was Railco Inc. Its complaint says Washakie rented office space in Price from Railco and owed $53,536 as of August. The lawyer filing suit for Railco is named Carl E. Kingston. The lawyer for N.W.R. is David E. Kingston. The two brothers who operate Washakie are Jacob and Isaiah Kingston. It is no secret that Washakie has familial ties to the Kingston Group, a polygamous church that has drawn new scrutiny in the past year from the television show "Escaping Polygamy," in which former members of the sect highlight other men and women seeking to leave polygamous households . Jacob and Isaiah Kingston acknowledged their heritage as they held an open house for Washakie in 2011. What has been less clear are the financial relationships Washakie has to the rest of the sect. But the lawsuits and other public records reviewed by The Salt Lake Tribune show how Washakie was able to leverage money from the businesses operated by members of the Kingston Group into a grant from the U.S. Department of Agriculture. 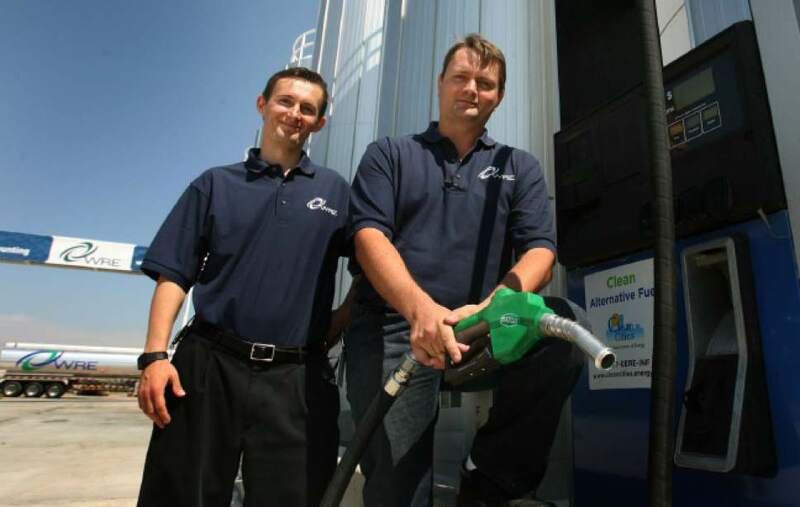 The private and government funding allowed Washakie to expand the Box Elder County production facility, where it says it manufactures diesel fuel from used cooking oil, grease and corn and soy plants, and to collect tax credits on the fuel it produces. But, in 2015, Washakie agreed to pay a $3 million fine for collecting tax credits for manufacturing fuel out of products like soybeans and cornstalks when the company was really buying fuel elsewhere. Agents from the Environmental Protection Agency, which administers the biofuel program, as well as the IRS and the FBI, served search warrants Feb. 10 at Salt Lake County offices belonging to Washakie and other businesses affiliated with the Kingston Group. The federal agencies have not specified what they are investigating. No one has been arrested or charged with crimes related to the raid. Jason Foulger, Washakie&apos;s general counsel, said he did not know the status of the federal investigation and could not comment on the pending litigation. "We&apos;re still in business trying to make ends meet," Foulger said. "Obviously, we&apos;ve had a rough go this year, but we&apos;re still trying to make a go." Parishioners of the Kingston Group, also known as the Davis County Cooperative and Latter Day Church of Christ, own businesses in numerous industries, including lending, agriculture, refuse and retail. Of those, Washakie particularly needed lenders. Washakie incorporated in 2006 and soon wanted to expand. Washakie had the goal of producing 28,000 gallons of high grade advanced biofuel per day or about 10 million gallons per year, according to the USDA records. Beginning in 2009, a longtime Kingston company called Fidelity Funding Co. secured an interest in Washakie assets, according to records on Utah&apos;s Uniform Commercial Code, which tracks transactions between business debtors and their lenders. The records don&apos;t say how much Fidelity Funding loaned Washakie, but Fidelity Funding declared an interest in a range of Washakie collateral  everything from its biofuel reactor to future patents, even the office furniture. At least three other lenders, Equitable Funding, Inc., Safeco Investments, Inc., and Alliance Investments, LLC, all with offices listed at addresses registered to other Kingston-run businesses, also declared interests in Washakie collateral, according to the Commercial Code filings. No one at those businesses returned messages seeking comment. Washakie in 2010 was pursuing a $496,750 grant from the USDA to expand the Box Elder County plant. According to records the USDA provided The Tribune under the Freedom of Information Act, Washakie had to come up with almost $1.5 million in additional financing to receive the grant. The Kingston-run lenders didn&apos;t provide all that financing. The USDA documents and Commercial Code filings show Salt Lake City-based Bank of Utah also loaned money to Washakie. Roger Christensen, senior vice president of marketing, communications and business development at Bank of Utah, declined to say how much money it loaned or whether Washakie is delinquent. The USDA announced the grant to Washakie in 2011. The USDA gave Washakie another $72,842 through 2014, federal records show. With the public and private financing, Washakie was able to expand its production facility. The plant&apos;s storage tanks were fixtures in advertisements that by 2014 became ubiquitous during Utah Jazz broadcasts and before movies at Megaplex Theatres. The plant sits on farm ground in the hamlet of Plymouth that is owned by N.W.R. According to N.W.R.&apos;s lawsuit filed in 1st District Court, Washakie agreed to pay $32,500 a month to rent the ground. Through July, Washakie owed $1,020,700, the lawsuit says. Washakie has filed its own court briefs denying the allegations in the N.W.R. and Railco lawsuits. Both cases are pending. The attorney for N.W.R. declined to comment. The attorney for Railco did not return messages seeking comment.